Rhodes is one of the most attractive tourist locations on the southeast Aegean Sea in Greece. One of the most beautiful islands, the city manages to combine both old and new architecture with charm. A visit to the famous Old Town market is for shop-lovers. Submerge yourself in the evocative atmosphere, revel in the culture, experience the Greek cuisine and enjoy the sweet delights of Greece, just a short cruise away. After purchasing your ticket, you will receive a voucher in your email box. 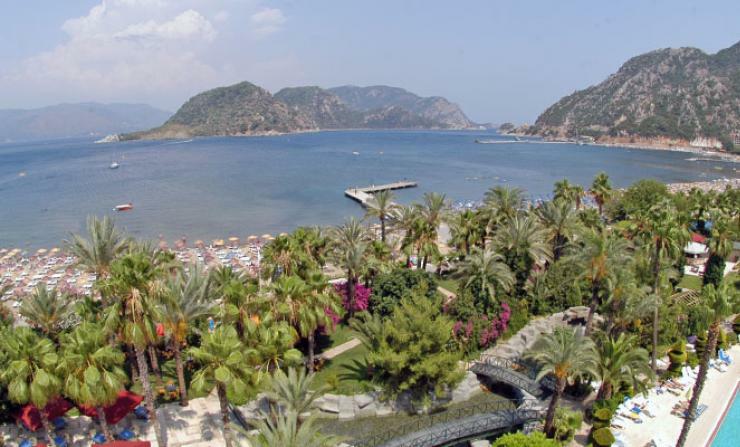 Once you have your voucher email from our website, please be at the Marmaris Cruise Port one hour before the departure at the Check-in Kiosk to take your boarding card. Your boarding card, is your valid ticket for the day excursion (return also). 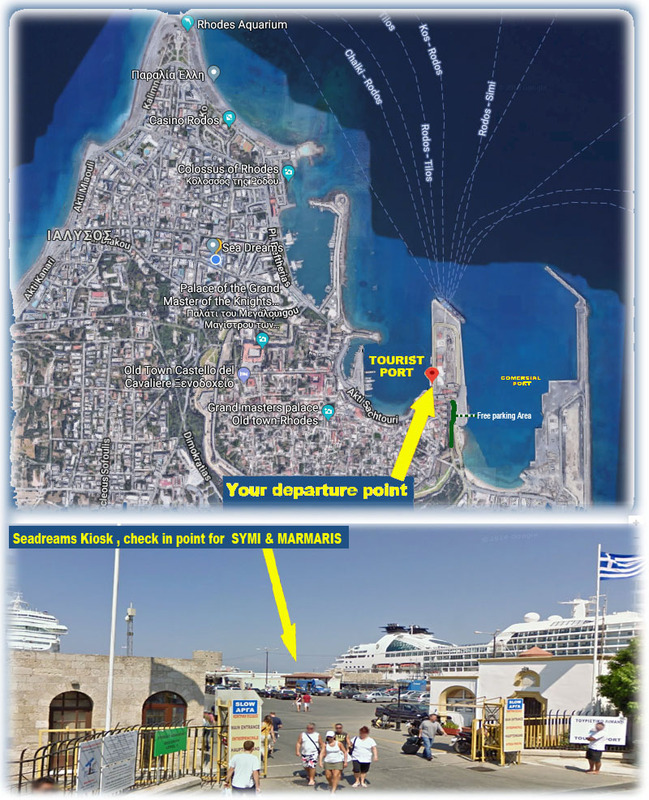 With your boarding card you must go to Departures gate for the Passport control, then directly on the boat. Please note: Children are considered from the age 6-12 (year of birth 2007-2013) and infants from 0-5 (year of birth 2014-2019). For passengers traveling alone, they must be 18+ years old and own a valid passport. Otherwise, they must be accompanied by an adult. If a minor child is traveling with one parent, then need affirmation of the second parent by police explicitly states that consent to the journey of the minor.